In Part 1 of this article, I described a patrol that changed from routine to critical. I was with an infantry soldier who needed a leader. But I wasn’t an infantry soldier, I spent eleven years in the military as an electronics technician. So, what was an electronics technician doing on a patrol, at night, in a war zone with a group of professional infantry soldiers? How come I was a leader on that infantry patrol? There is something I say about the $20 billion North American leadership development industry that many people disagree with. I say, although that industry does a good job of preparing leaders to succeed in their routine leadership tasks, it does a poor job preparing leaders to succeed when it’s not routine. What do I mean? Our days are filled with routine tasks. The routine is most, but not all, of what we do. Routine tasks are those things we do and say, and the decisions we make, when the consequences of failure are relatively low. We can occasionally make a mistake in the routine, and then we can try again. Our performance in the routine only needs to be good enough most of the time. There are also tasks that we are not good enough at, but we likely get other people to do those things. In critical moments, the consequences of failure are too high. 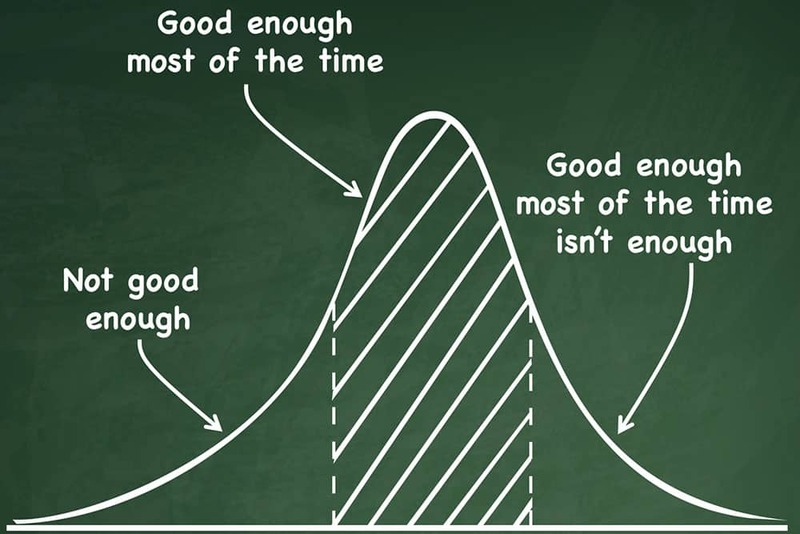 In critical moments, just being good enough most of the time is never enough. But, mixed in with the routine tasks are a few critical moments. In those moments, the consequences of failure are too high. In those moments, good enough most of the time isn’t enough. We need to get it right. Failures in critical leadership moments have severe consequences for leaders and organizations. Remember what BP’s CEO, Tony Hayward, said to a reporter? That’s failure in a critical leadership moment. The military is very intentional about many things. I was trained to be a soldier first and a technician second. This means that the military analyzed its operations, they understood their business, and they determined that I only needed to be good enough most of the time at being a technician. But they also know that when soldiers need to protect themselves and others, it’s a critical moment and good enough is never enough. I had to get that right every time. There was intense training provided by other soldiers who had their own experience in critical moments. And, on deployments in war zones like the former-Yugoslavia, when I wasn’t fixing equipment, I was on guard duty or on patrol. Every few weeks I would go on patrol with the infantry to keep my skills sharp. But how come, in that critical moment behind that stone fence, I was the leader? The military is also very intentional about leadership in critical moments. They know that leaders have a whole bunch of routine leadership tasks when they only need to be good enough most of the time. But they also know the critical leadership moments, when good enough is not enough. Again, I received intensive leadership training provided by other military leaders. That training enabled me to feel the critical moment before I thought about it. Then, that feeling triggered the behavior and action that was also trained into me. I wasn’t born knowing what to do, no one is born knowing what to do in critical moments. I was trained by experienced leaders who had been in those critical moments, themselves. That’s how the military trains leaders. Throughout my 20-plus years in the corporate world that followed my military career, I received leadership training almost every year. I was sent on the most popular courses, shown the most popular leadership models, and assessed using the most popular instruments. I knew my personality type, my level of emotional intelligence and even my colors (if you haven’t taken the many tests that associate your personality to a color, don’t worry about it). All this was delivered by consultants from the $20 billion North American leadership development industry, and it made me successful in my routine leadership tasks. I was a good enough leader most of the time, but I failed in a critical leadership moment. I had taken over the leadership of a team that included a very poor performer. After almost a year of trying to improve his performance, I decided that he needed to go. All the necessary approvals were obtained. The day before he was going to be shown the door, I was called into a meeting with my VP and our Director of Human Resources. They had changed their mind and determined that I needed to do more to improve that person’s performance. During the meeting, as we each advocated our position, I noticed that they were giving me a strange look. I didn’t understand the look and I didn’t mention it. At the end of the meeting, they asked for my support. I said it was a big change, that I needed to think about it, and I’d give them my decision in the morning. The next day, I met with my VP again, but this time I was asked to sign an agreement to improve my own performance or else I’d be terminated. My performance was now being managed and item #1 on their improvement plan for me was that I improve my team member’s performance. I was devastated. I had always been a top performer. How had this happened? How had I failed and what could I learn? Please keep reading Part 3 of this article.